Azimuth Meridian international medical cover updated benefit for their expatriate clients. The Azimuth Meridian overseas medical cover benefits is one of Good Neighbor Insurance Brokerage Firm’s career international cover we provide to our expatriate clients. The Azimuth Meridian international medical cover has three distinct overseas medical insurance plan options (1) the Meridian Enhanced, the Meridian Essential, and the Meridian Clear which may be found here at https://www.gninsurance.com/azimuth-meridian-international-career-medical-plans/. Good Neighbor Insurance guests, our clients, spend 3 – 5 years as expats outside of the U.S. and request our licensed international insurance agents to provide long term career medical insurance for them and their families. 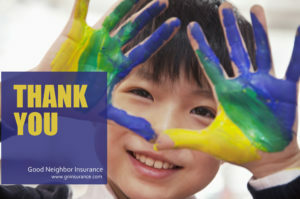 Good Neighbor Insurance (GNI) provides a variety of overseas medical long term insurance to our expat clients and you may view all of our long term medical insurance cover options here at https://www.gninsurance.com/long-term-international-health-insurance/#All_Plans. Below are some key points and upgrades of medical insurance benefits provides for the Azimuth Meridian Enhanced expat medical insurance cover. You may find this superb career expat medical insurance cover here on our GNI web page at https://www.gninsurance.com/azimuth-meridian-international-career-medical-plans/. This Azimuth Meridian Enhanced policy includes maternity coverage as well as covering pre-existing conditions as any other illness without limitations. Family Deductible Maximum will only be 2 rather than 3. Here are some additional reasons we love the Azimuth Meridian career medical insurance options for our expatriates residing outside of the U.S.
Meridian Essential – as long as you select the maternity rider there is no waiting period. Maternity benefits start right away (cannot already be pregnant at enrollment). Maternity coverage is $10,000 per delivery and a $50,000 life time limit. Meridian Enhanced – After 12 months maternity coverage starts full benefits. Maternity is packaged in with your medical insurance automatically. Coverage for maternity has a maternity deductible of $5,000 for each birth. There is a $100,000 maternity benefit for life of policy. Below are some additional career insurance options that may fit our guest, you! In comparing the Meridian Enhanced to the other policies, WEA Signature overseas medical insurance cover, at https://www.gninsurance.com/wea-signature/, would have better international sports coverage with Select covering up to $150,000 lifetime/person. The GMMI overseas medical insurance cover, for expatiates, at https://www.gninsurance.com/gmmi-career-long-term-insurance-plans/, would not have good coverage for sports injuries, however, the deductible is reduced by 50% for treatment received outside the U.S. The GeoBlue Navigator expatriate medical insurance at https://www.gninsurance.com/hth-geoblue-navigator-xplorer-overseas-travelers/#navigator has the best coverage for sports. However, it is the most expensive international medical insurance policy (the premiums shown on our web page are monthly rates). Good Neighbor Insurance provides international travel insurance, expatriate medical insurance, as well as employer group medical insurance and other international cover to those traveling and living outside their country of resident/country of citizenship. Call one of our professional licensed international insurance agents at 866-636-9100 or you may email us at info@gninsurance.com.